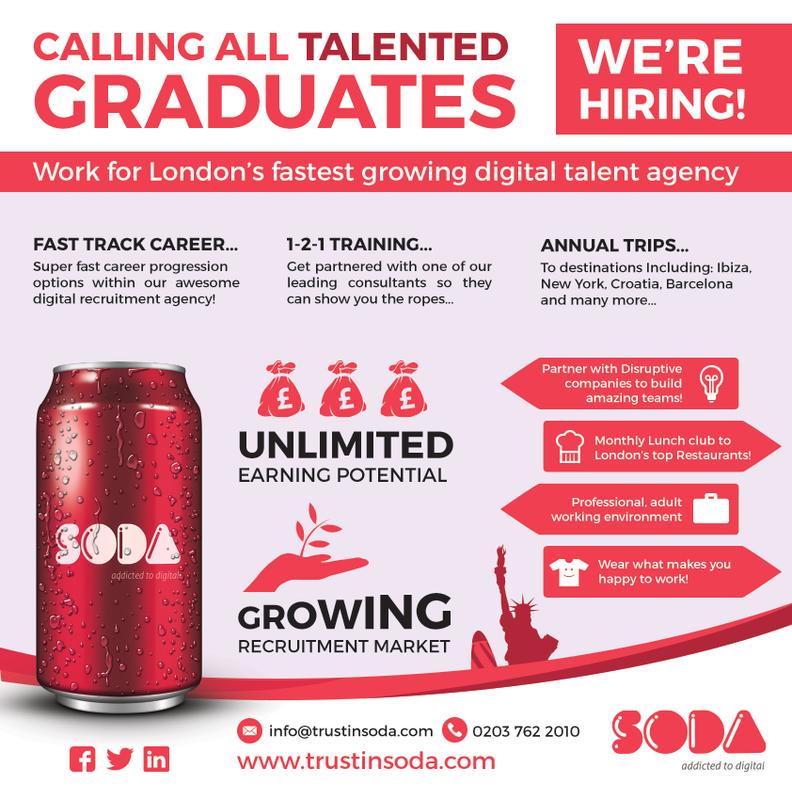 Trust In Soda pride themselves on being the best boutique digital talent agency in London. They specialise in finding great candidates for excellent roles right across the digital spectrum so when they commisioned us a few years ago to work on some creative briefs for them we were happy to help! 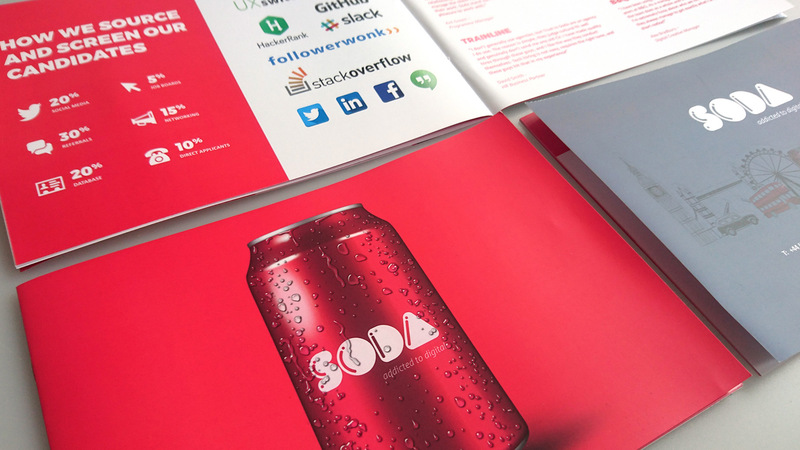 Everything from business cards, custom proposal templates, advent calendars, social media job ad graphics, presentations and brochures we've just about done it all for these guys. 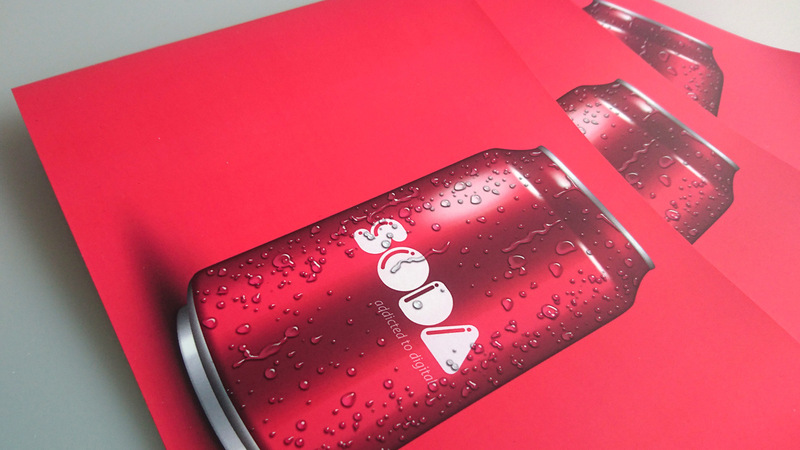 Key projects include the production of the company brochure that's used to entice new talent into the company along with onboarding new clients. We've also fired a few event flyers out for them to help advertise their various networking events.